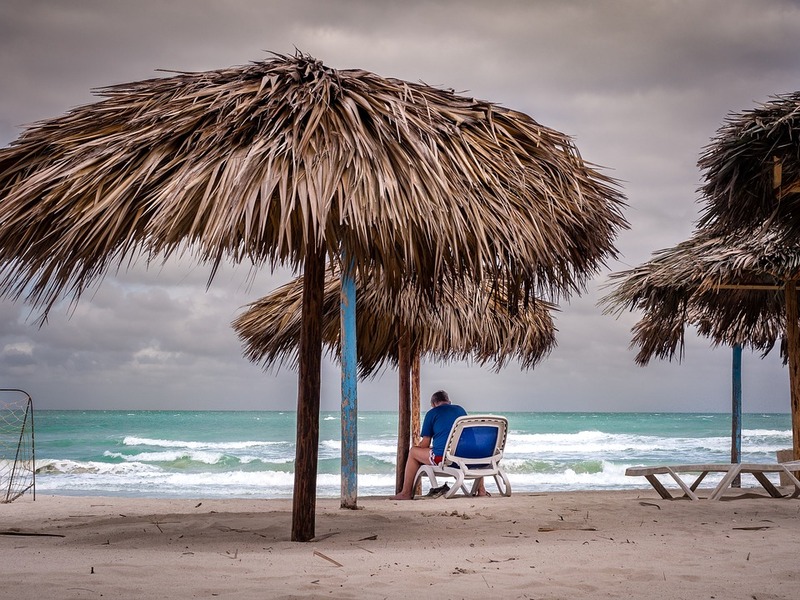 A perfect getaway is one where you can indulge in exhilarating, breathtaking activities on one day, and laze around on a beach chair sipping exotic cocktails on the next. One such place is the beautiful island of Mauritius, where the blue of the sea perfectly mirrors a cloudless sky, and the sand on the beach is so white, you’d mistake it for snow. Many overlook this paradise island just because it is the quintessential honeymoon destination. But peel off that superficial mask and what you’ll find is that the Mauritius country is an amazingly gorgeous place filled with picture postcard vistas; where you can go hiking, diving, or simply wander in a rainforest spotting exotic wildlife. The Mauritius map has breathtaking sights to offer! 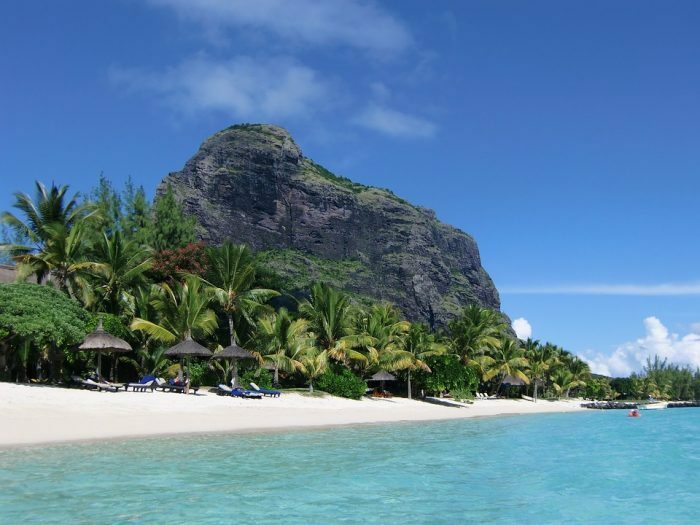 If you are planning a holiday in Mauritius, make sure you know all about Mauritius. Mauritius is a tiny island located near the south-east coast of Africa, with about 2000 km of the Indian Ocean in between. The island has a mountainous interior with lush green forests surrounded by magnificent beaches. 2. How to reach Mauritius? Mauritius is one of the easiest island nations to get into. Not surprising, after all, it’s such a popular holiday spot. Mauritius issues visa on arrival for most countries. Valid proof of the return flight, as well as accommodation, has to be provided to enter the country. They want to make sure that you don’t overstay your welcome. That’s because everyone who enters wants to live here forever, obviously. And start practising this tongue-twister of a name- Sir Seewoosagur Ramgoolam. Because that was a famous Mauritian politician and the Mauritius airport gets its name after him. The national airlines, Air Mauritius, fly from Delhi, Mumbai, and Chennai to Sir Seewoosagur Ramgoolam International Airport. Now that you have reached Mauritius, you would want to know more about Mauritius and what lies ahead. Besides knowing about Mauritius, you should think of getting your hands on some Mauritian currency first. The Mauritian Rupee is the Mauritius currency, and one Mauritian Rupee is about two Indian Rupees. That’s one Cadbury Éclair for the price of two, so to speak. The predominant spoken language is Creole, but newspapers are printed in French, and TV shows are also telecast in French. The good news is that most of the Mauritian people also speak and understand English. If one were to take a jetpack around the Mauritian coast and get down at any point of time, one would find a beautiful beach to lie down, rest and fuel up the said figurative jetpack; which is to say that the coast is lined with beaches as far as the eye can see. Be ready to see the three most predominant colours: the blinding white of clean sand, the sapphire blue of the ocean, and the rosy red of sunbathed skin! We recommend a good sunscreen to protect your skin from the sun. Temperatures average at about 30 degrees C.
Le Morne Beach: A major tourist attraction where one can partake in surfing and snorkelling. Mont Choisy Beach: A big beach on the north coast famous for watching the sun go down as you sip your evening cocktails. Belle Mare: A very long beach on the east coast. 7. Swim with the fishes in Mauritius: Sea Diving! Where there is sea, there are fishes, and where there are fishes, there are people in funny rubber suits with oxygen cylinders on their backs wanting to catch a glimpse of them. Enjoy the company of sharks by indulging in diving at various diving sites. PADI, CMAS and NAUI courses are offered at various diving centres as well as hotels. How about you catching your dinner on your own for once? You could simply go deep into the sea on a fishing tour and catch marlins and trouts! This is one thing about Mauritius that fills you up with excitement. Mauritius offers all day fishing tours at various spots. When you’ve had enough of the beaches and lagoons, head out into the mainland and shop your socks off, because you can always buy another pair! 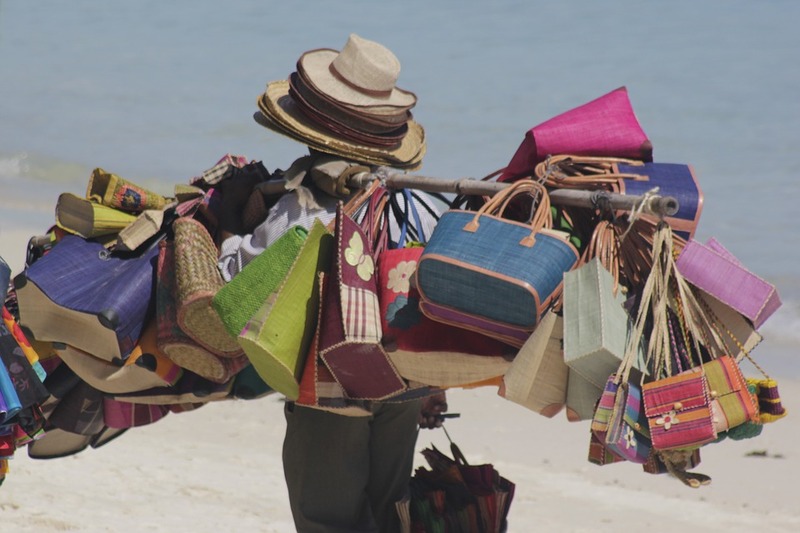 Mauritius is known for fashionable clothing at good prices. Some of the markets may close at midday during weekends so plan accordingly. 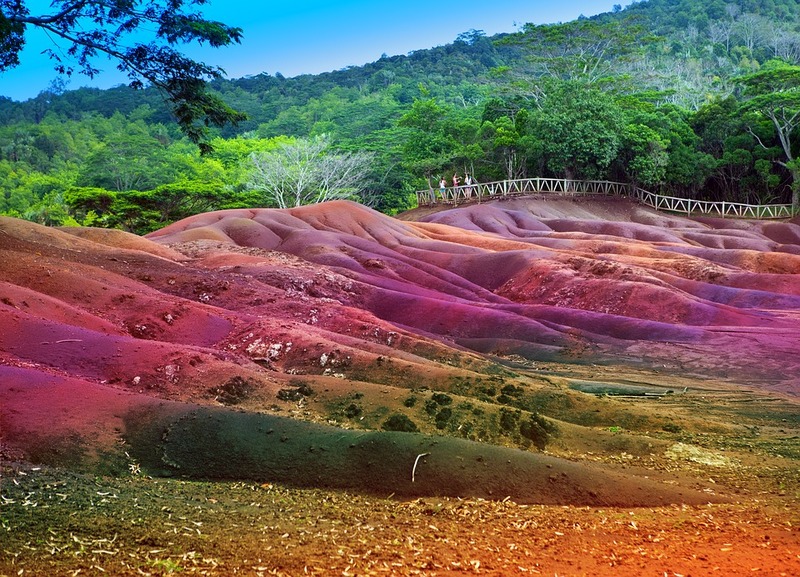 If you need a touch of the good old earth after all the shenanigans in the water and sand, head into the heart of Mauritius and check out some of the famous sightseeing spots. A long time ago, a giant volcano erupted in the middle of Curepipe. All that remains is a huge crater which is a sight to behold. In the south, you’ll find more than the usual three colours that you found on the beach. Here the cascading, multicoloured stone is as high as 90 meters. 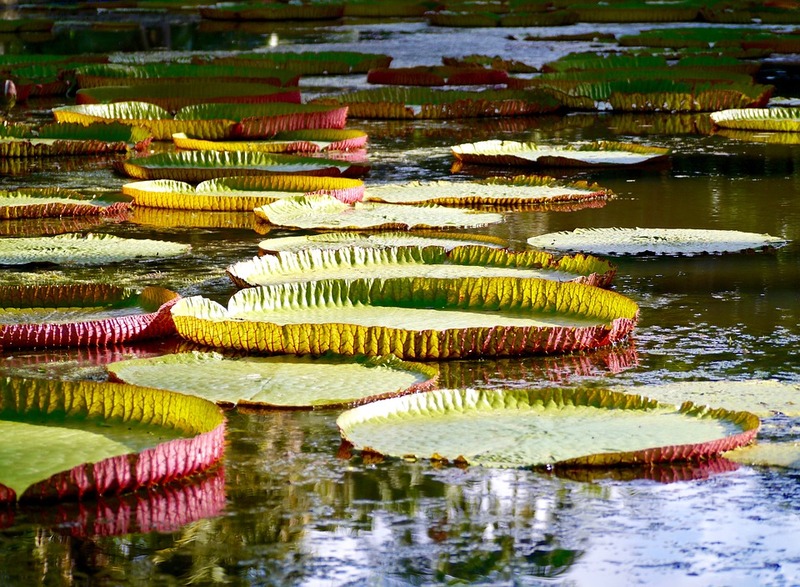 Just north of the Mauritian capital of Port Louis, the Pamplemousses Botanical Garden is like a paradise in a paradise. You won’t find greener pastures! In the mood for some jaw-snapping crocodiles? Head to the Vanilla Crocodile Park and have a look at the exotic beasts. Now that you know all about Mauritius and are loaded up with valuable information about the great island nation, pack your bags and book your Air Mauritius flight today! As you can see from this extensive list, ‘lacking’ is not a term one can say about the things you can do in Mauritius. This tiny island, which is no more than a speck of dust on the map, packs so much punch that you are sure to be entertained as well as exhausted by the end of the journey. Bon voyage! Check out the best Mauritius holiday packages of Thomas Cook. Know all about Mauritius - A perfect getaway to indulge in exhilarating, breathtaking activities, and sip exotic cocktails on a beach chair. Serves as a good brief guide. Great piece of information.